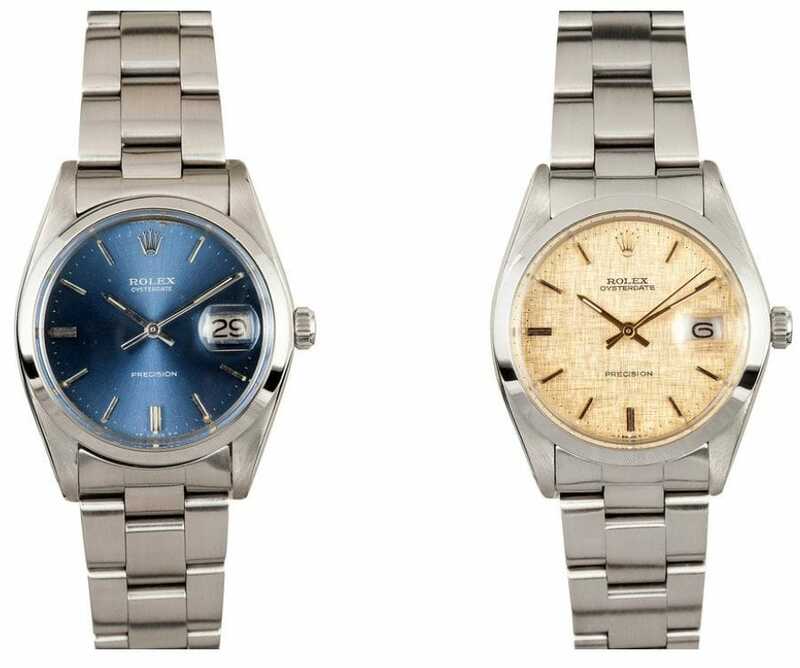 There’s a vintage Rolex that’s quite collectible, but whose real strength is as an everyday wear. The Oysterdate Precision 6694 flies well under the radar of most everyday watch wearers. But a little digging will show you a watch that works well as a dress watch, but is uniquely suited to business casual or weekend sports wear. 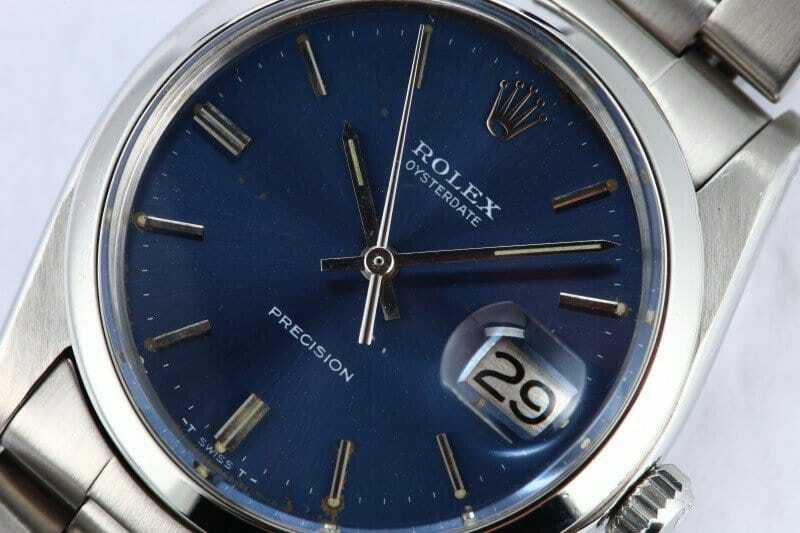 The 6694 was produced from the early 1960s to the late 1980s, a sibling to the Air-King and Oyster Perpetual. The reference was equipped with the manual wind, non-chronometer, calibre 1225. While the manual wind is a great feature for a watch nerd, with a screw-down crown (which all Rolex Oysters have), it can be a bit cumbersome for the casual wearer to wind on a daily basis. Those folks might describe it as “charming,” with the myriad connotations the word has, both positive and negative. The stainless steel case spreads the calipers to 34mm (sans crown), and is topped with a Plexiglas crystal that protrudes quite a bit above the bezel. Older models that haven’t been serviced may have their crystals nearly totally rounded over. That 34mm dimension might keep a modern casual wearer away, as it’s well under the 40mm plus of a lot of current watches. However, classic good looks and rich dial colors, along with the oyster bracelet do much to mitigate that argument. Hands evolved over the years as well, starting with Rolex’s unique dauphine-sword hands, and ending with modern pointed stick hands. Early versions (from the 1960s) came equipped with riveted oyster bracelets, which were replaced in later years with the newer oysters. If the watch ever came on a jubilee bracelet, I did not find any in my searches. However, the 6694 looks great on a strap, so make note of that. 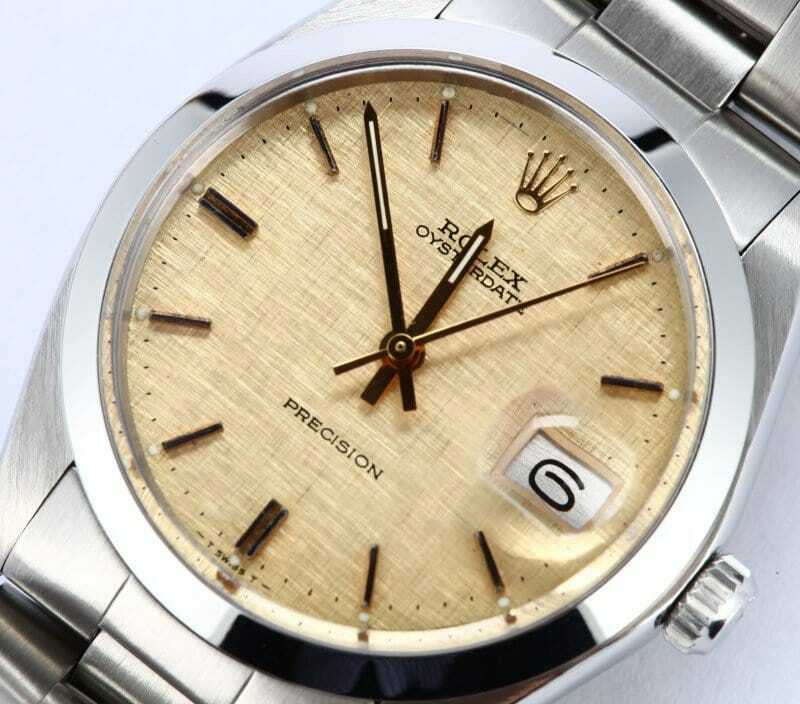 You rarely see these in gold, but you see them often in a unique form of two-tone – all steel, including bezel and crown, but with gold hands, and gold applied logo and baton markers on the dial. In conclusion, the 6694 does such a good job at flying under the radar, you may well get away with wearing it with no one realizing you’ve got a Rolex on your wrist. You’ll simply experience the quiet joys of wearing a solid manual-winding vintage Rolex, no explanations to co-workers needed.